Rochelle Von Hof, Ph.D., Director of Clinical Programming and Services at the Barber National Institute, has been awarded a doctoral degree in psychology from Walden University. Her dissertation focused on the effects of childhood trauma on family dynamics. VonHof joined the Barber National Institute in 2011 as a mobile therapist and behavior specialist, and also served as program director of the family based mental health program. 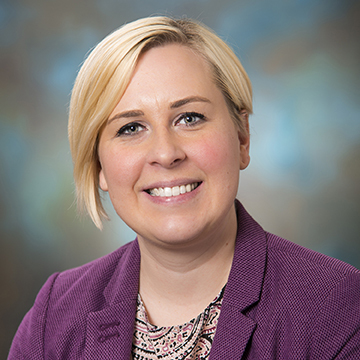 A graduate of Mercyhurst University, where she received bachelor’s and master’s degrees, Von Hoff completed additional training in family therapy, trauma focused cognitive behavior therapy and Parent Child Interaction Therapy (PCIT.) She has extensive experience relating to the treatment of trauma and other mental health issues. Jennifer Musolff, Ed.D., BCBA, was awarded a doctor of education degree from Youngstown State University. Musolff has been a board certified behavior analyst at the Barber National Institute since 2003, working with children with autism and other behavioral challenges and their families. She also served as project manager of the Barber Institute’s research collaboration with the University of Notre Dame into the use of robots for treatment of children with autism. She has presented at nation conferences on the results of the research and is currently co-authoring a research paper for publication. 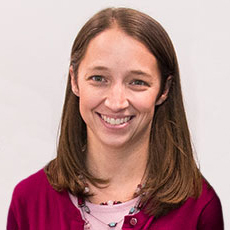 Musolff earned a bachelor’s degree from Slippery Rock University and a master’s degree from Mercyhurst University where she is an adjunct faculty member in the applied behavior analysis graduate program. She received certification in applied behavior analysis from Penn State University.